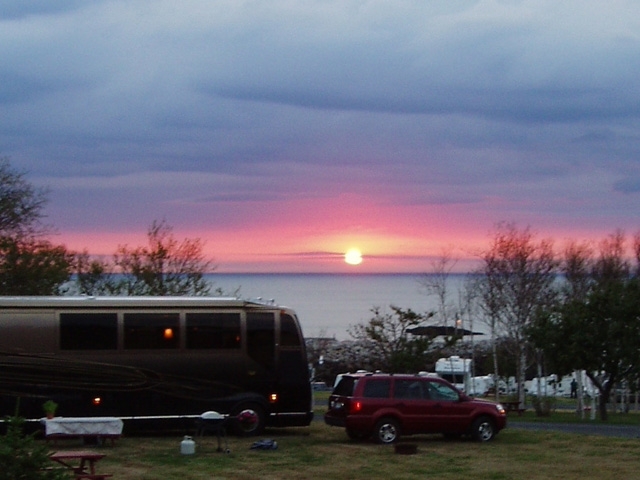 Site #62 is a Premium Water View full-service site, with a sloping view overlooking the Bay of Fundy. 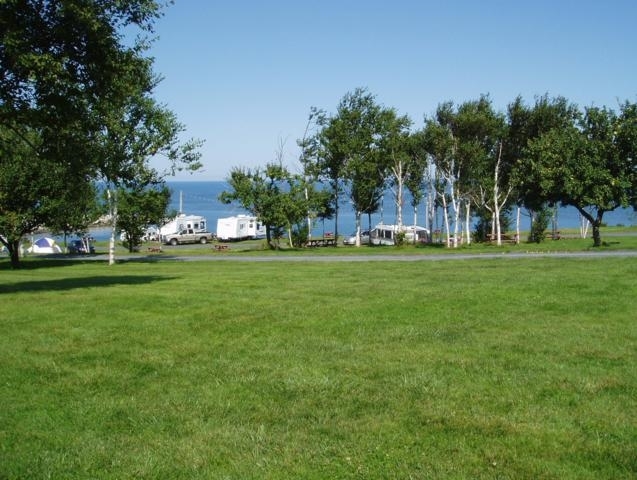 This spacious, level grassy site will accommodate one big rig of any size - trailerr, 5th wheel, RV or coach, and accompanying tow vehicle. 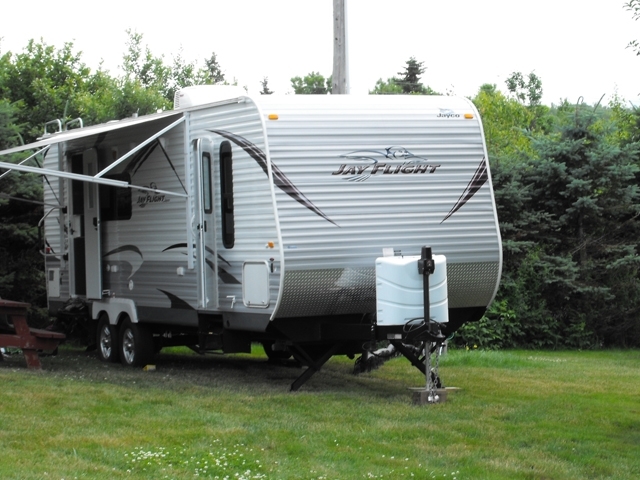 It is located close to the playground, washrooms, laundry, rec hall and heated pool and provides plenty of room to spread out and relax. 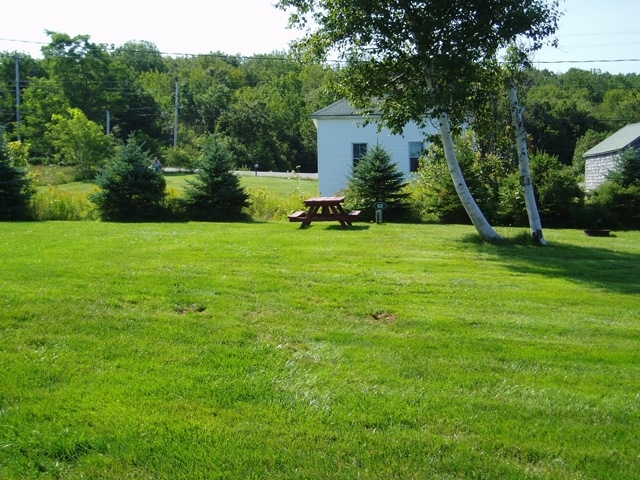 The site is equipped with certified drinking water, 50 amp power supply, sewer, picnic table and fire ring.